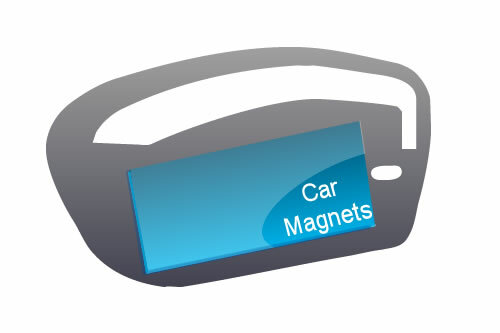 All weather, reusable car magnets let you advertise on car, truck, or van. 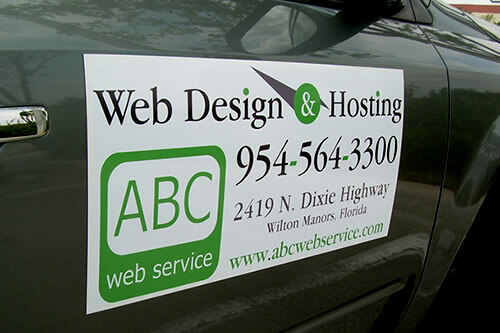 Easy to apply Magnet Signs allow you to move your advertisement from vehicle to vehicle, and you can remove them easily at home communities restricting advertising on vehicles. Magnet Signs adhere to your vehicle even at high speeds. 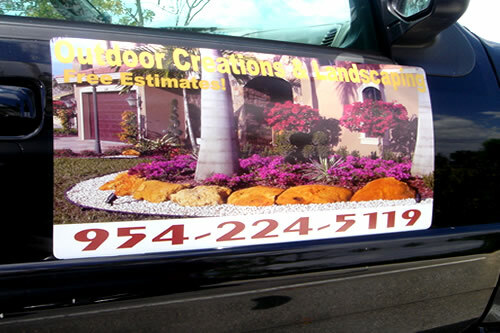 Our Magnetic Signs are professional highly durable, and cheap, but not as most other cheap magnetic signs, normally Cheap Magnets are made with cheap materials, thinner, and not resistant to outdoor conditions, they will have poor colors, and won’t last long, and the most important, they won’t do the job you need them for, attract people! 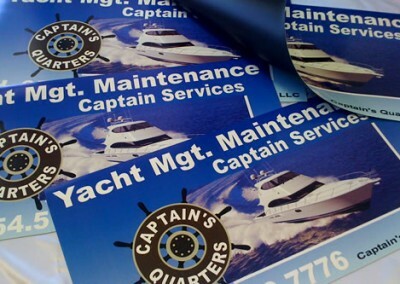 Quick Signs offers you High Quality Affordable Magnetic Signs. 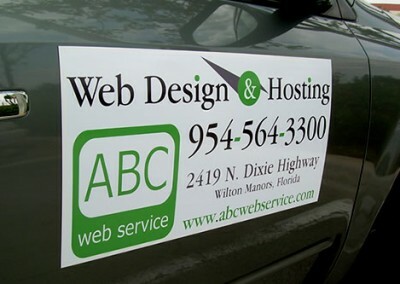 You don’t have to become a Graphic Designer to have a nice looking and attractive Car Sign, we’ll do that for you, we are professional designers, so your signs are not going to be ruled for an online template, we will create a professional looking layout for those portable signs to stick on your vehicle at your convenience. We use white color high-quality premium USA Magnum magnetic material. 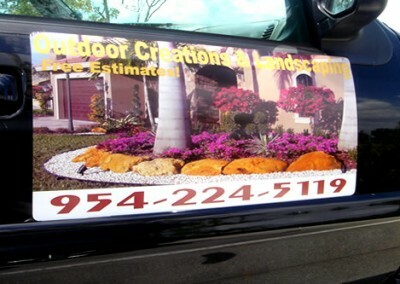 We will design for you a unique Magnetic Sign to accomplish your specific advertising needs.Sizes are custom to adapt the desired area of your vehicle. 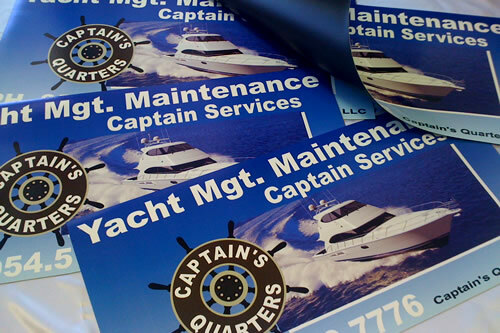 We work with your ideas, logos, and corporate color to create your custom magnetic signs. 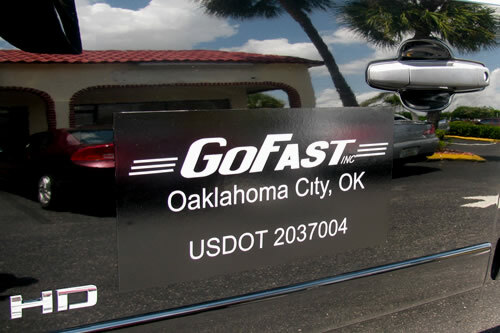 We have the fastest turnaround time in Florida and ship within the same day to any place of the continental USA. Want to Order Magnetic Signs today?